A technical innovation that solves the scale problem! 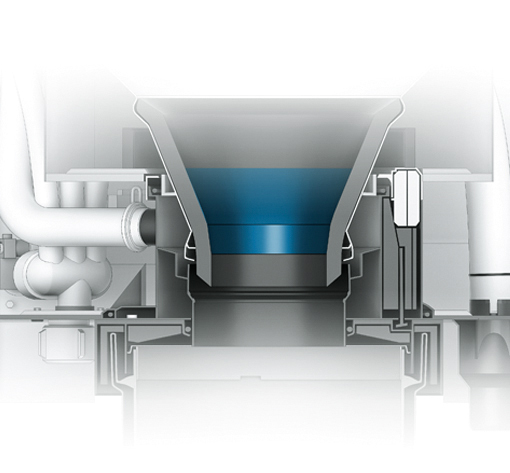 The patented scale management removes the separated scale particles from the steam cylinder during operation and automatically leads them into the designated scale collection tank. Scale deposits are thus continuously removed from the steam cylinder. A resistance heating system works independently of the conductivity of the humidifying water. 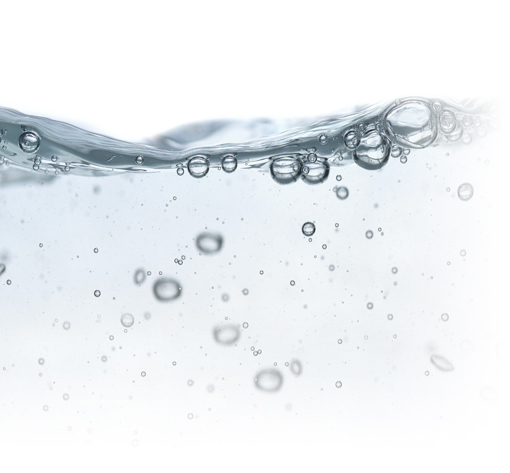 For this reason, Condair RS steam humidifiers are suitable for use both with demineralized water and drinking water. Near the in- and outlet connections, the twin walled cylinder design of the unit creates a cold water pool which always remains below the temperature of scale formation. Water in- and outlet are therefore protected against scale deposition. 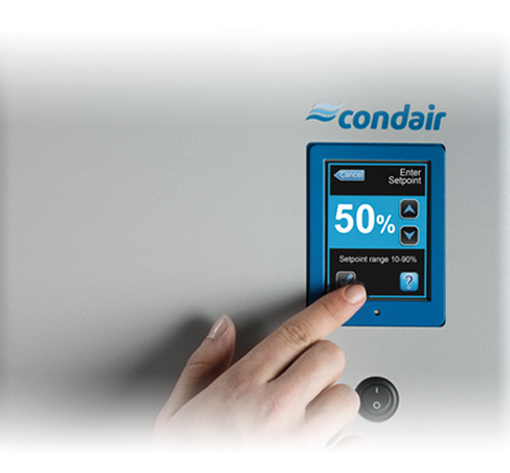 The Condair Touch Controller allows verification of all unit and process data at a glance. Operating data can be called up in real time, and there is a comprehensive data history. The electronic control system allows the steam output to be varied continuously between 0 and 100%; this means accurate control and management of the steam supply rate. The RS series steam humidifier includes an interface for connection to BMS systems (Modbus and BACnet) as standard. Remote control or remote monitoring is therefore possible without problems. 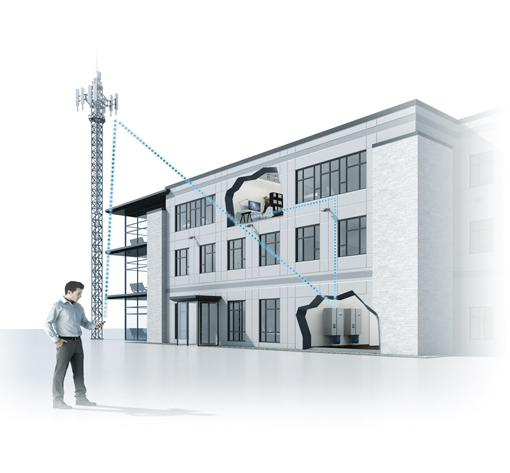 For several humidifiers as part of a more complex installation, the networking system provides a clear overview about the system with rapid and early response in standard operation.